Submitted photos Beavercreek residents, law enforement and first responders hosted a small ceremony in honor of those who died on 9/11, 17 years ago. Kroger employees Vince Montgomery, Rachel Day, and Gwen Landis brought flowers to lay at the monument. BEAVERCREEK — Citizens in Beavercreek came together to pay tribute to 17th anniversary of 9/11 at the Beavercreek 9/11 Memorial. The event hosted onthat date included local first responders, military and their families. Before the ceremony started employees from Beavercreek’s Kroger presented a red, white, and blue bouquet of flowers to the memorial. Vince Montgomery, an employee of Krogers for 32 years, said he and two other employees, Rachel Day, and Gwen Landis, had planned on making up bouquets for 9/11 in the store but was compelled to make the bouquet and bring it to the memorial. “Thank you Beavercreek for this Memorial, a daily reminder of our need to give thanks and pray for our nation,” said resident Kay Bond. 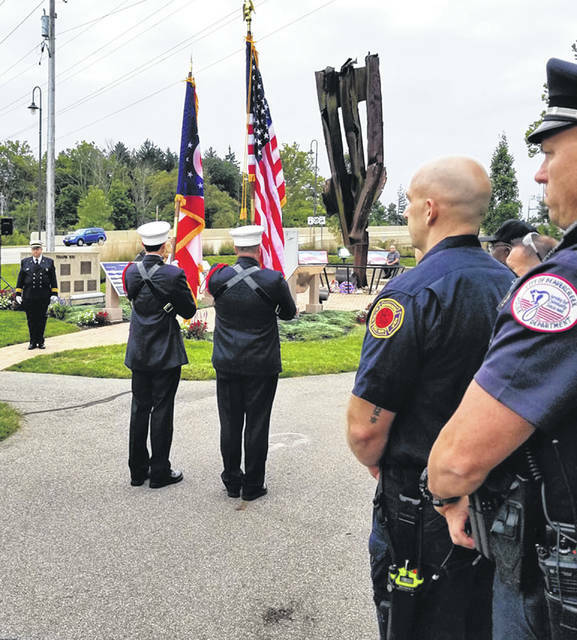 https://www.beavercreeknewscurrent.com/wp-content/uploads/sites/49/2018/09/web1_911-1.jpgSubmitted photos Beavercreek residents, law enforement and first responders hosted a small ceremony in honor of those who died on 9/11, 17 years ago. 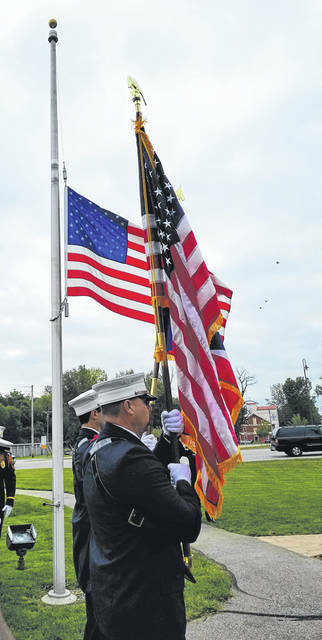 https://www.beavercreeknewscurrent.com/wp-content/uploads/sites/49/2018/09/web1_911.jpgSubmitted photos Beavercreek residents, law enforement and first responders hosted a small ceremony in honor of those who died on 9/11, 17 years ago. 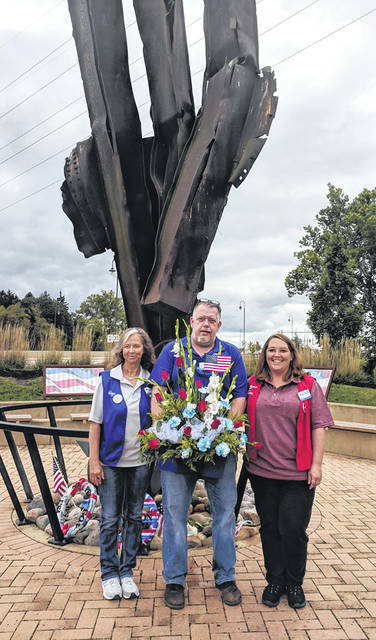 https://www.beavercreeknewscurrent.com/wp-content/uploads/sites/49/2018/09/web1_911kroger.jpgKroger employees Vince Montgomery, Rachel Day, and Gwen Landis brought flowers to lay at the monument.